The Stand-alone version of the Ion is designed for use in conjunction with your Vapourtec system or with 3rd party pumps and power supply. 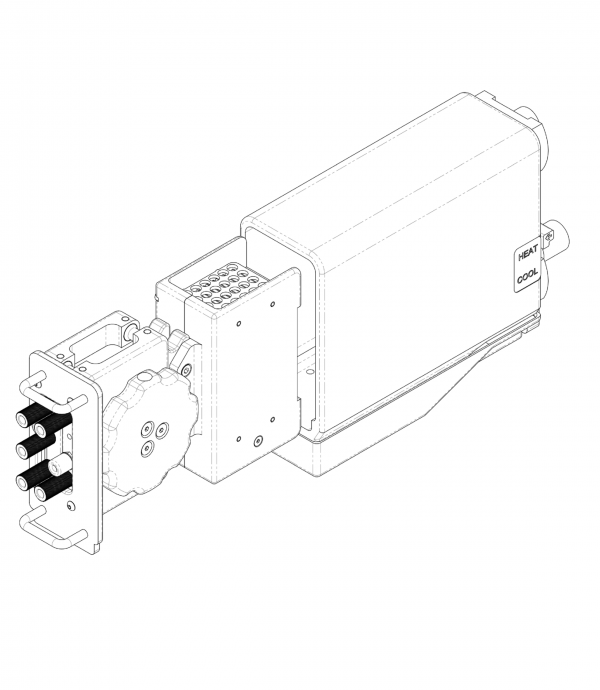 This version does not include the parts that allow temperature control of the reactor. 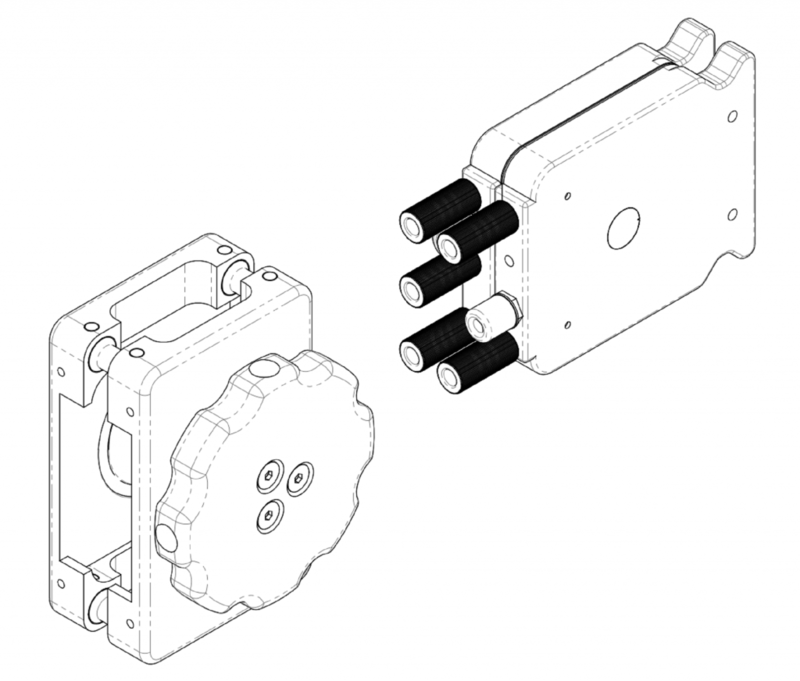 In other respects the stand-alone version is identical to the integrated version using identical electrodes and membranes. 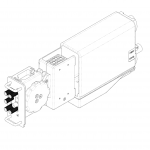 The Integrated version is supplied together with temperature sensor, heat transfer accessories and housing for mounting the reactor onto your Vapourtec E-Series or R-Series flow chemistry systems. 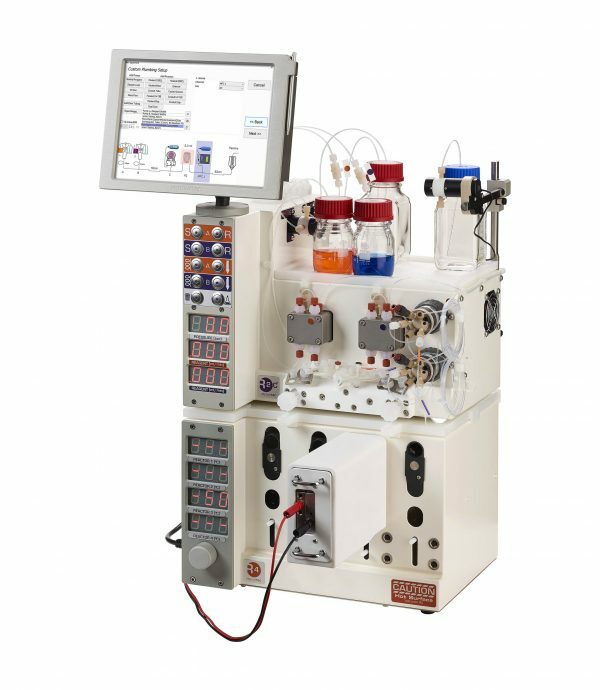 The integrated version of the Ion electrochemical reactor has been designed to interface with both E-Series and R-Series Vapourtec flow chemistry systems. Connecting the Ion reactor takes less than 5 minutes. Once connected, automated electrochemical reactions can be set up and run using your Vapourtec software. Data is logged automatically by the Vapourtec software. 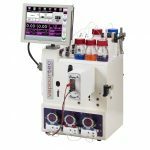 Once integrated with your Vapourtec flow chemistry system, the temperature of the Ion electrochemical reactor can be controlled between -10ºC and 100ºC. This opens up a vast chemical reaction space to explore. Historically, the vast majority of electrochemical reactions have been carried out at room temperature and there are very few examples of cooling an electrochemical reaction. 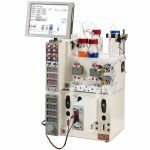 Some important recent literature examples, published by Pfizer and Keio University, Japan show improved reaction outcomes when heating electrochemical reactions. 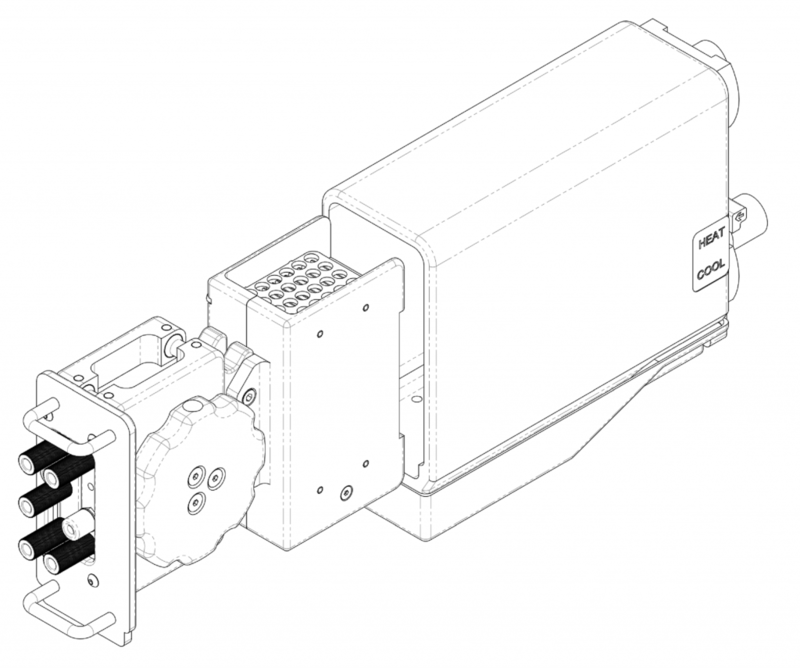 The Ion electrochemical reactor has been designed to operate at pressures of up to 5 bar. There are two important benefits from operation at pressure; to take solvents up to temperatures well above their normal boiling points (e.g. using methanol in electrochemical reactions at 100°C) and the ability to control the volume of gaseous reagents within the reactor. In electrochemical reactions one of the most important variables is the material and surface properties of the electrodes. In a research environment electrodes will be changed regularly. 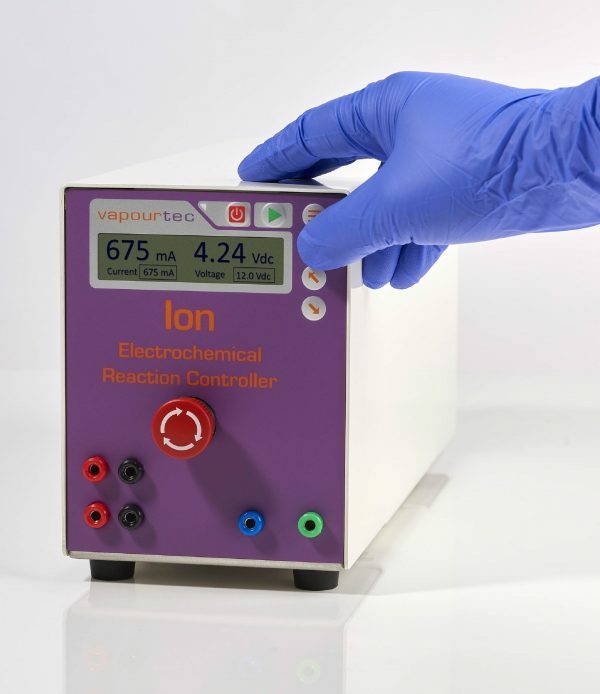 Vapourtec has paid particular attention in the design of the Ion electrochemical reactor to ensure that the electrodes can be quickly and easily changed. 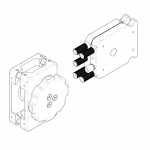 Also to ensure the design is sufficiently robust to guarantee leak-free operation after every change of electrode. 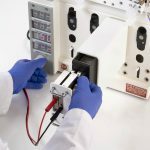 In your research environment it is important to you that your electrochemical reactor is capable of undertaking a wide range of different reactions. One of the key variables is the material from which the electrodes are manufactured. 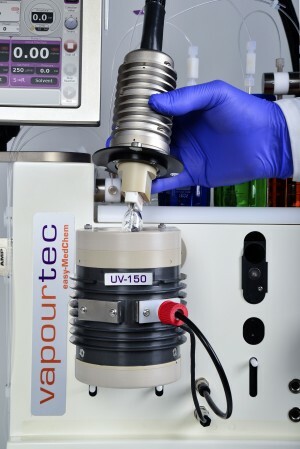 Vapourtec can supply a range of 20 different electrode materials; these range from simple stainless steel through 3 different forms of carbon to exotic materials like boron doped diamond. 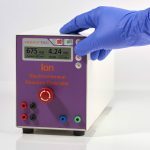 The Ion Electrochemical reactor uses electrodes that are flat foils 5 cm x 5 cm in size in thickness from 0.1 mm to 1.0 mm. Electrodes do not have to be purchased from Vapourtec, this size of material is readily available from third party suppliers of research materials such as Goodfellow or Alfa Aesar. 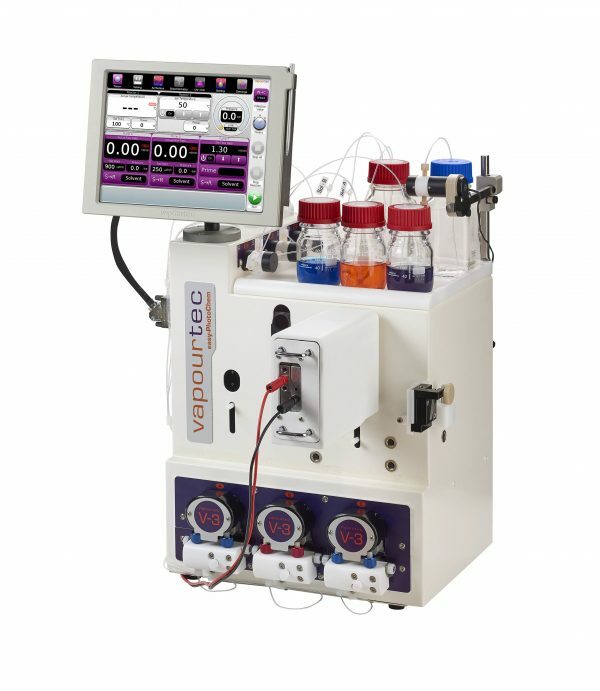 If the material you need to trial is not available from Vapourtec then it can be easily sourced elsewhere. The Ion reactor is equipped with an additional fluid connection. If required, this allows a reagent to be added part way through the reactor. This connection is useful to add a second reagent to react with a radical species that was generated in the first part of the reactor. Or alternatively, to add a quench to stop further reaction. 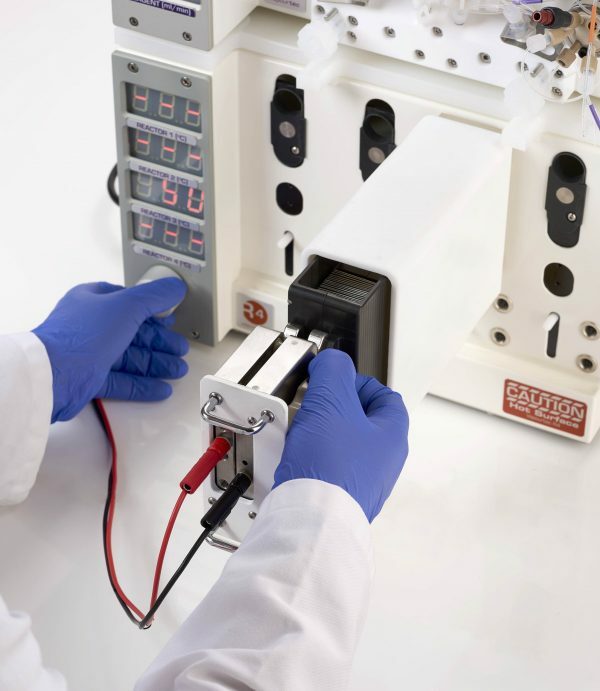 An accessory kit is available for the Ion electrochemical reactor to allow the Ion to operate as a divided electrochemical cell. 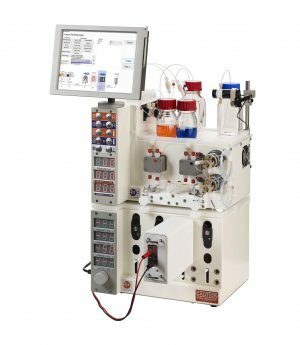 The kit includes a proton exchange film for separation of the cell. 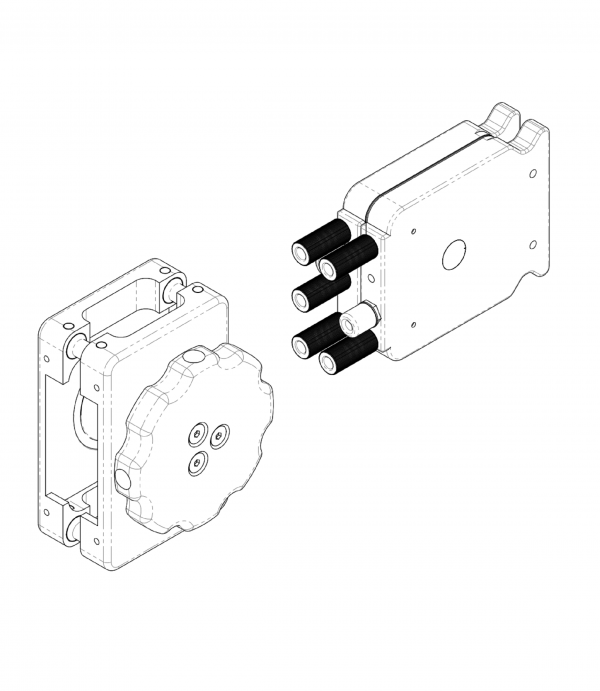 In addition to proton exchange film the kit includes all the additional fluid connections and spare membranes necessary for the divided cell configuration.